A happy sewing room. | there's no place like gnome. I’m at work on the last day of what feels like the longest week ever. After being at Synod Assembly last Friday and Saturday, it quite literally has been an eleven day work week. 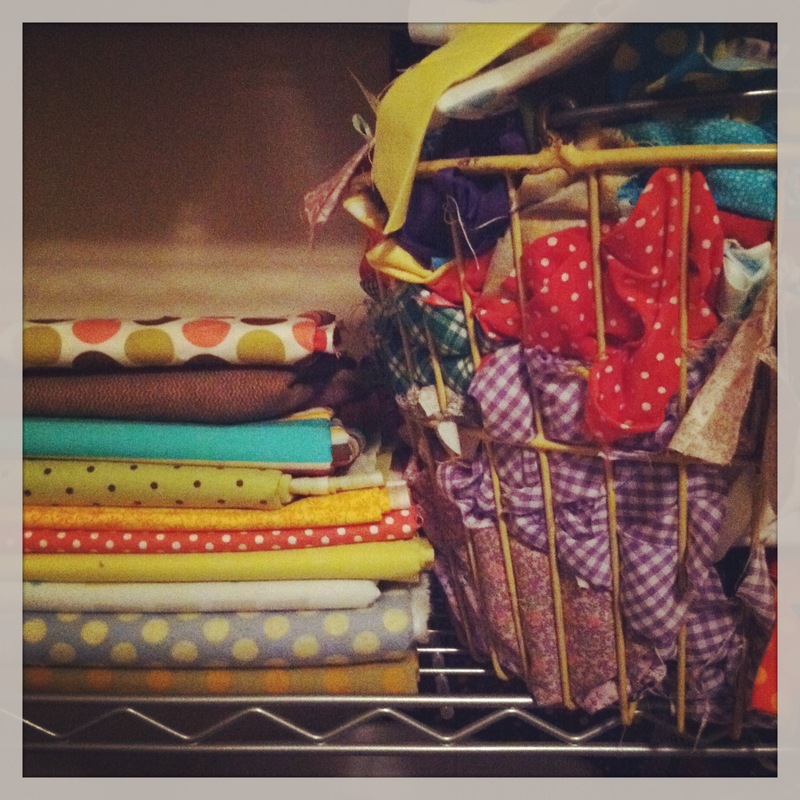 And so I declare a blog break to tell you about my happy sewing room. I cleaned it last night. I technically cleaned it in preparation for my mom and sister [who arrive tomorrow so we can fly out of MSP on Saturday]; the futon lives in my sewing room and someone will need to sleep on it. That wouldn’t have been possible filled with stacks of fabric and odd sewing supplies. It’s now a happy place to which I’m ready to return. I have a couple more baby quilts for friends to complete before the summer is out and I have a silent auction baby quilt to make. A what? A silent auction baby quilt. Jenna, my friend and Luther College fellow alum, chairs a Twin Cities Luther alum event – one that raises money for Luther scholarships. She emailed and asked if, as a Luther alum, I’d be willing to contribute something to the silent auction. Oh, for nice. I was honored and certainly willing. Give me an excuse to make a baby quilt and I’m there. I’m ready to start finding new patterns and fabric! I’m ready to make my sewing room messy again with creativity.